The book contains twelve essays by Stephen Holmes, Frances M. Kamm, Maria Ludassy, Steven Lukes, Gyorgy Markus, Andras Sajo, Gaspar Miklos Tamas, Andrew Arato, Timothy Garton Ash, Bela Greskovits, Will Kymlicka, and Aleksander Smolar. The studies explore a wide scope of subjects that belong to disciplines ranging from moral philosophy, through theory of human rights, democratic transition, constitutionalism, to political economy. The common denominator of the studies collected is their reference to the scholarly output of Janos Kis, in honor of his sixtieth birthday. 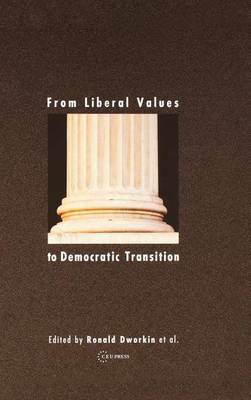 Janos Kis is a distinguished political philosopher who, after many years spent as a dissident under the Communist regime, emerged as an important political figure in Hungary's transition to democracy. Currently he is University Professor of Philosophy at Central European University, Budapest.